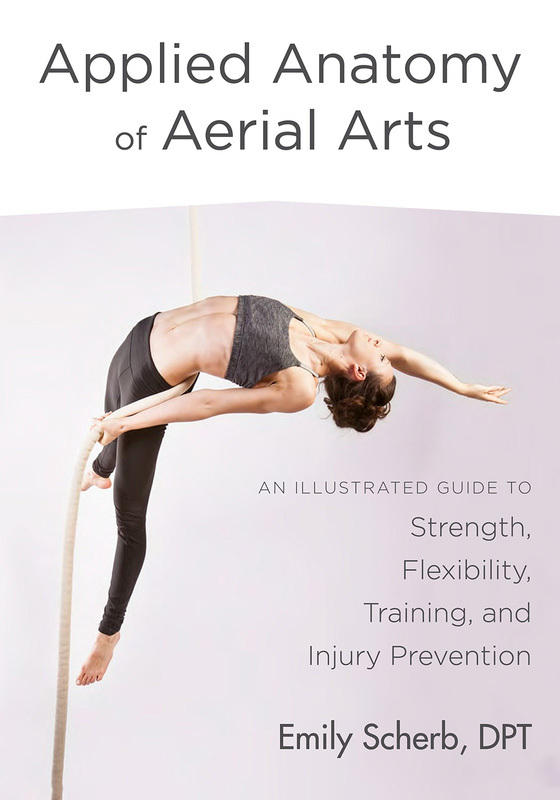 The new book Applied Anatomy of Aerial Artists by author and Doctor of Physical Therapy Emily Scherb (aka The Circus Doc) was released this September 2018 and is a one of a kind resource for aerial artists. The 425 page tome of knowledge is packed with useful information for any circus student, as it offers general circus know-how about anatomy, body mechanics, proper warm-up and cool-down techniques as well as injury prevention and treatment. In addition to this comprehensive overview of the circus body, there is a treasure trove of information specifically for the aerialist on form and technique. Dr. Scherb has been a circus artist since 1992 and eventually became an aerial arts instructor between college and graduate school. 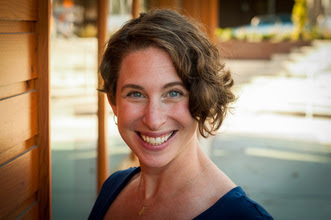 When she graduated with a Doctorate in Physical Therapy, Dr. Scherb knew she wanted to work with circus artists to serve the community that has been so important to her. Over the past decade of working with circus artists she gained deep insight on how circus bodies work in the air and on the ground. As she has expanded her knowledge Dr. Scherb has worked to share those gains with the community through workshops, teaching, and recently writing this first book to address the unique challenges to the aerialist’s body, Applied Anatomy of Aerial Arts. Dr. Scherb begins the book by defining how important it is for every circus artist to have a foundation in anatomy and body mechanics in order for that person to succeed at their practice. 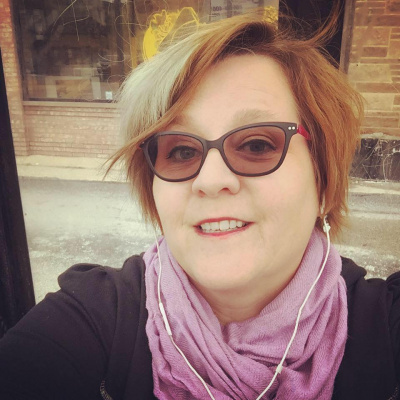 She delves quite readily in to the scientific jargon of anatomy too, but not without providing a glossary of terms to explain concepts like the distal and proximal planes of the body. But lest you think that the science will put you off, don’t be dissuaded, because Scherb embraces the opportunity to provide visual information with illustrations and photos that indicate flexion and extension and every position the body can make while in aerial mode. She defines stability in the base pose and gives specific data outlining how joints and bones work together when everything is properly aligned. Some areas of the body and their function that she spends time outlining are hips, shoulders, core, spine, pelvis, abdominals, and the lower back to name a few. After digging in to aerial basics, like how to engage shoulders, she moves on to ways to hang. In chapter 7, Dr. Scherb explores the ways to conquer gravity and soon illustrations of the proper position for colorfully named trapeze moves such as skin the cat, the hip key and meat hook are described in detail. Not only are proper positions shown, improper ones are also illustrated and each pose and trick comes with a breakdown of technique, muscles involved and common errors. This makes the book an invaluable tool for circus educators and every circus library—as the educator will have a very real reference for the proper alignment necessary for their students to avoid injuries. Multiple aerial disciplines are not portrayed in much depth, but the straps, silks and rope are all featured in the many illustrations of form along with detailed explanations. It is important to understand that Applied Anatomy of Aerial Artists is meant as a resource on proper form and how to maintain body health, and not a manual on how to do the aerial arts, so topics such as transitioning from move to move are not covered. The artistry of the discipline is something that can be explored as an individual after form and technique have been achieved. Perhaps one of the most important focuses on the book is on the importance of training. It explores ways to train, how often and how much rest is needed, and how to progress in training. A fascinating technique for identifying DOMS (delayed onset muscle soreness) is described in contrast to injury, with a handy chart on how to tell the difference between the two. Injury prevention and strength building to avoid injury is also demonstrated with great care. Applied Anatomy of Aerial Artists is a straight forward and immensely useful manual for any aerialist and any circus artist or circus teacher who wants their student to progress, avoid injury and gain the strength necessary to do the amazing work they do. It is a must have for any circus library. Copies are available at North Atlantic Books or wherever books are sold. Don't miss your chance to win a copy of Applied Anatomy of Aerial Artists on CircusTalk's Instagram page.The giveaway starts on November 15th and ends November 22nd 2018.